Saudi Arabian Airlines (Saudia) has announced a new summer destination with the launch of flights to Izmir, Turkey, starting from June 10. 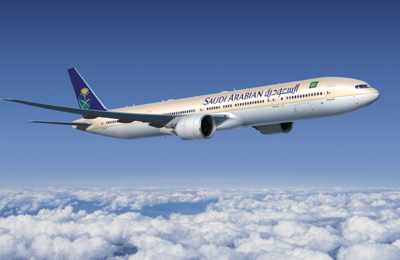 Saudia’s seasonal service to Izmir will run a daily service (four-times-weekly from Jeddah; three-times-weekly from Riyadh) from June 10 to September 9. A limited additional service will also run between Izmir and Jeddah from May 2 to June 8 for Umrah travellers — prior to the start of the seasonal operation. Izmir is Turkey’s third-largest city, with a population of more than four million people. Located along the Aegean Sea, it is a port city and leisure destination. The Izmir area, which curves along the West Coast of Turkey, provides a gateway to surrounding vacation hotspots, including Bodrum and Marmaris. The airline will operate the route with an Airbus A320 aircraft in a two-class configuration of 20 seats in Business Class and 96 seats in Guest Class (Economy). The flight duration from Jeddah to Izmir is three hours and 25 minutes nonstop, and three hours 55 minutes from Riyadh. Saudia Holidays, the holiday division of the airline, is offering packages including flights and accommodation for travellers wishing to travel to Izmir. The carrier currently flies to 89 destinations across four continents and operates a fleet of narrow-body and wide-body Airbus and Being aircraft.